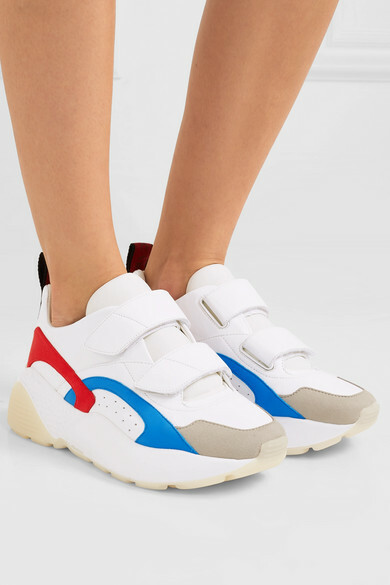 Stella McCartney's 'Eclypse' sneakers are one of the newest additions to the brand's footwear collection, and they're the type of style you'll want to purchase in multiple colorways. 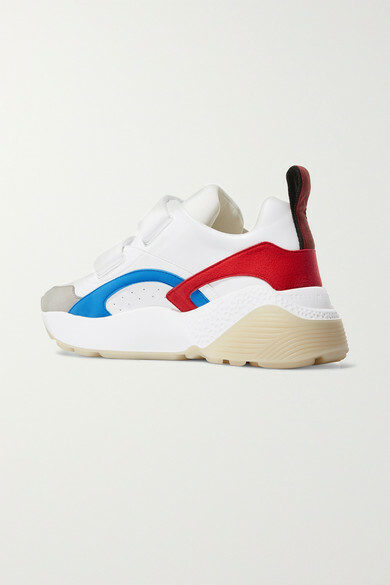 Designed with a spongy neoprene tongue, this pair is made from a combination of faux leather and faux suede with flashes of blue and red. 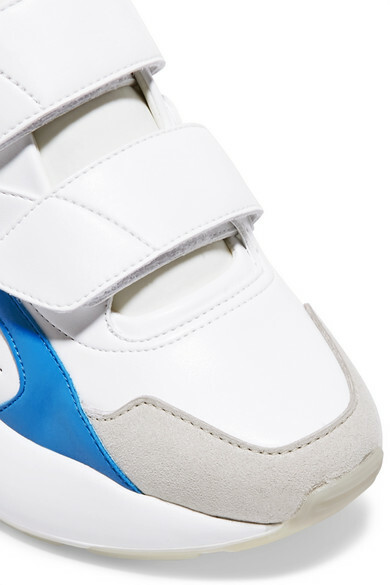 The chunky soles work particularly well balanced by midi skirts or cropped jeans. 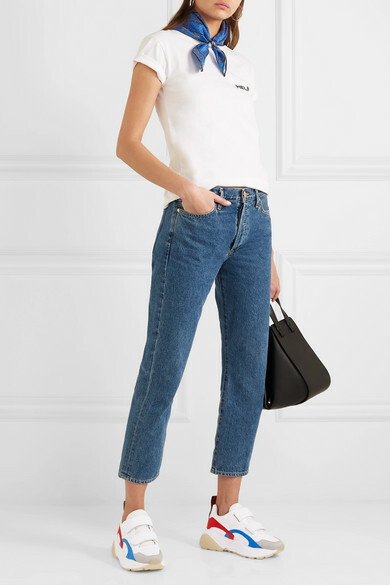 Shown here with: Helmut Lang T-shirt, Goldsign Jeans, Loewe Shoulder bag, GANNI Scarf.